Visit my YouTube Channel, Cole's World of Mathematics, for free Math Instructional Videos. I am continually creating new videos as time permits. Subjects that will be covered include: Algebra I, Algebra II, Pre-Calculus, and AP Calculus AB. I also specialize in TI-84 Series Graphing Calculator Tutorials and Creative Lesson Idea Videos for Teachers. You can also access some of my videos directly from this website by following the link below. As time permits, my video links on this website will be better organized by course and topic. Are you in need of suggestions for what to tell parents about how they can help their child be successful in math class? Here's nine suggestions of various study tips that students can implement, and parents can monitor. Download the FREE PDF file below. Need help with getting students to complete their homework on time? Try implementing H.O.T. (Homework On Time) Rewards. This idea isn't mine, I originally saw the concept presented by North Star Teacher Resources. I've seen it done as a punch card, mini-sheets (4 per page), classroom wall charts etc. Create what works best for you. In my classroom, I have used an 8.5x11 H.O.T Sheet. Students keep the H.O.T. Sheet and bring it with them to class each day. A quick check around the room at the beginning of the period allows me to see that homework is being completed on time. Students are then rewarded with extra credit after receiving a set number of stamps. Using a full sheet for each student allows you to use both the front and back for the stamps. Using a custom dated stamp also allows parents to see when homework was completed on time. Custom stamps with adjustable dates can be ordered from RubberStamps.net. 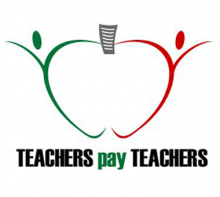 If you like the resources that are available here, be sure to check out my Teachers Pay Teachers Store. I currently only have a few resources available; however, as time permits, I will be adding more resources. Resources will eventually include classroom activities, lecture notes, worksheets, teaching packets and more. Grade levels include middle school (5 - 8), high school (9 - 12), and AP Calculus AB. If these free resources have helped you in your classroom, please share the knowledge.